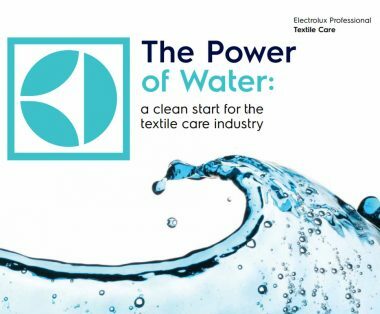 Cleaning solutions for professional textile care. Your customers habits are changing! Say goodbye to solvent-based cleaning. Environmentally friendly with no toxic chemicals used in processes, as water is the solvent. Outstanding results with most precious textiles and fine wool labelled dry-clean only. 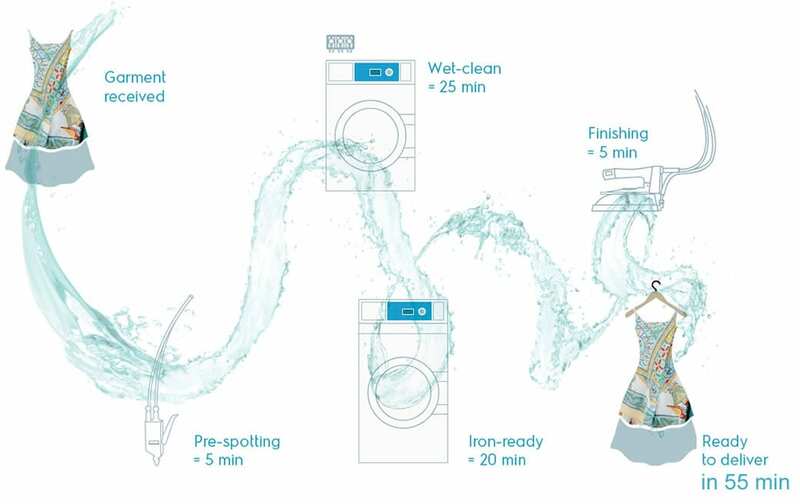 Easy wet cleaning with no hard-to-learn procedure and no bottlenecks. Improved loading factor and enhanced cleaning action. Faster process times for a quicker return on investment. Fast effective cleaning lets you offer customers an express delivery service. with the speed and simplicity of solvent-cleaning. Thanks to lagoon® Advanced Care we can really do anything, now, with water. Garments come out of the process extremely clean and restoring them to shape has become an easy task. We have no need to use solvents anymore. With lagoon® Advanced Care, we now only do wet cleaning. It is safer for us to work with water and it is safe for the environment. Garments are not only really clean, they smell fresh and have such a nice feeling to the touch. lagoon® Advanced Care is available as 2 different-capacity solutions, giving you maximum flexibility and the option of expanding at a later date. with a small footprint: that’s lagoon® Advanced Care. 6 to 8 small items per cycle. 6 to 8 small items + 18 to 27 items per cycle. No textile wear, colour loss or permanent dimensional change, after multiple cleaning cycles – certified by the Hohenstein Institute. lagoon® has been endorsed by The Woolmark Company as suitable for wet-cleaning even the finest wools labelled dry-clean only. It was a bit of a challenge educating people about the differences between dry cleaning and wet cleaning. It’s still a new and innovative concept, but now customers are much more receptive and the people have been extremely accepting and enthusiastic about what we are doing. We’ve done extremely well there and we can process over one hundred items per day. People choose us over a traditional drycleaners because it’s a much better for the environment and for their clothes. And from a business perspective it’s great, because we can deal with any challenge presented to us. Whether it’s an everyday suit, a wedding dress, a leather jacket, or a suede skirt; we can accept absolutely anything.